Set in the heart of the Palm Springs valley, The Westin Mission Hills Golf Resort & Spa is centrally located to the best Palm Springs attractions. 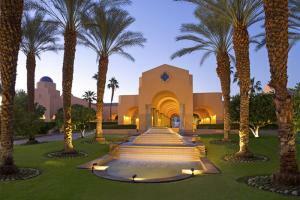 The resort is located only 6 miles from the Palm Springs International Airport. Pinzimini - Italian cuisine; Fireside Lounge - Continental cuisine; Mission Hills Market & Café; Seasons Grill. Westfield Shopping Center, Spa Casino, Indian Canyons, Palm Springs Air Museum, The Living Desert Zoo & Gardens, Palm Desert Civic Center Park, Wet n' Wild Water Park.